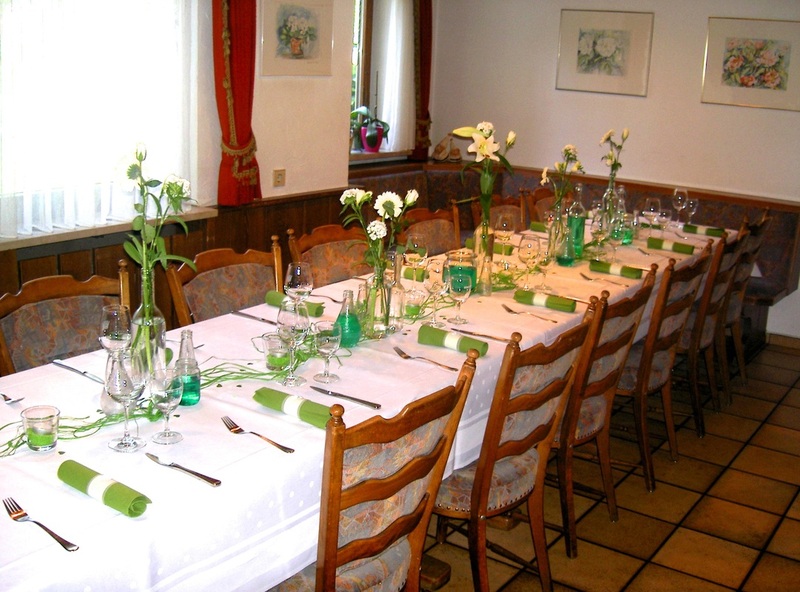 Gasthof zum Lauffen has a traditional dining room which has pioneered the Waldshut-Tiengen area and beyond since the 1950s. Our furnishings are comfortably worn in by locals and travelers alike. The menu offers a variety of traditional German dishes, we take pride in our charcuterie, and handsome servings of root vegetables. Table bookings are recommended, particularly on Sundays. For family celebrations, intimate ceremonies or whatever the occasion, we are delighted to offer in house catering for groups of up to 30 people in our restaurant. Please give us a call and we will be happy to flourish you with details about our set menu and confirm our availability.